“My mother’s brother, the Nobel economist Kenneth Arrow, died this week at the age of 95. He was a dear man and a hero to me and many others. No one else I have ever known so embodied the scholarly life well lived. I remember like yesterday the moment when Kenneth won the Nobel Prize in 1972. Paul Samuelson—another Nobel economist and, as it happens, also my uncle—hosted a party in his honor, to which I, then a sophomore at MIT, was invited. It was a festive if slightly nerdy occasion. As the night wore on, Paul and Kenneth were standing in a corner discussing various theorems in mathematical economics. People started leaving. Paul’s wife was looking impatient. Kenneth’s wife, my aunt Selma, put her coat on, buttoned it and started pacing at the door. Kenneth raised something known as the maximum principle and the writings of the Russian mathematician Pontryagin. Paul began a story about the great British mathematical economist and philosopher Frank Ramsey. My ride depended on this conversation ending, so I watched alertly without understanding a word. You can observe the evidence of things you cannot see? Is that right? Exactly, yes; observations are indirect. It hit me years ago that in Hebrews 11:1, one finds wisdom for both science and religion: “Now faith is the substance of things hoped for, the evidence of things not seen.” In science, one must have faith in the believability, the truth value, of one’s theory. Where is that coming from? You don’t know it’s true, but its coherence can give you a glimpse of what you can’t actually lay eyes on. Then you find some controlled event that you can predict from that theory, and you can design an experiment, and the experiments all have to do with electrostatic fields and photographic plates and wires and transformers and batteries. Of course, none of that stuff had anything to do with an electron, but that’s what Millikan had to set up so he could look at what happens to an oil drop and infer the implications for the charge on the electron. You get the evidence of things not seen directly. How is that so different from what happens in religion? Science is a process for learning more and more about how things work. It tells you nothing about meaning, about purpose. I had a thought during your talk last night, and I’m reminded of it again. One of the great evangelists of the 20th century, the Reverend Dr. Billy Graham, once said, “I’ve never seen the wind …. I’ve seen the effects of the wind, but I’ve never seen the wind. There’s a mystery to it.” Was Dr. Graham onto something? I think that’s a very good metaphor for what we’re talking about. Modern science is able to devise instruments so that it is able to show that molecules of air are moving, and that’s what we call “wind.” Billy Graham was a great American, with a powerful message for living. I look at all this now and I see much more convergence between religion and science. I believe that reality and its recognition is going to win our allegiance if we keep our minds and hearts open. How long can Richard Dawkins keep saying, “It’s in my material brain?” He’s got to tell me what this material brain is that he thinks gives him so much understanding. He’s claiming to know things that he cannot demonstrate. But I would say, “Wait a minute. No, don’t be deceived by the language. What explains that explanation? Where is the deeper meaning?” Such superficial arguments should not deflect Christians from their belief that “Ye shall know the truth and the truth shall make you free.” That includes both religious and scientific truth. You’ve got to ask “why,” like the child. I remember it most recently with my youngest son catching me up in that. He asked, “Daddy, why…?” I don’t remember the question. “Why so and so?” And I said, “Well, here…” and I’m describing how things work. Then the child says, “But why? Why is that?” And so then you look for something a little more fundamental. Very few questions and he’s got you to the outer limit of knowledge. He’s got you up against the wall, and you have no place to go because our knowledge is so limited and incomplete. 1. There is no such thing as too big to fail especially big banks like Goldman Sachs and you cannot be against crony capitalism if you vote for the Ex-Im bank. American corporations doing business overseas must now bear their own costs. 2. We need to understand isolationism vs. non- interventionism, bring the troops home, and end the welfare granted to all foreign nations. Foreign aid is outlawed as unconstitutional, unjust, and un-economic. Foreign politicians have to steal their own money. The World Bank, IMF, and United Nations close their super-luxurious doors. The Defense Department is reoriented towards defense. American troops come home from all around the world. We adopt a policy of armed neutrality, remembering the Founding Fathers’ teaching that we could not have an empire abroad and a constitutional republic at home. 3. The income tax is abolished. A flat tax all the way to zero as we end the warfare-welfare industrial complex. The 40% reduction in federal revenues is matched by a 40% cut in spending. There is no need for the USG to have a military budget greater than the rest of the world combined, and the USG revenue is still quite high. 4. An end to the drug war and a focus on treatment locally without incarceration. 5. The option of competitive currencies instead of a Federal Reserve and abolishing the taxes on silver and gold to enable exchange. 6. The elimination of most if not all cabinet departments. Dept. of Energy ends as oil and gas prices plummet. The Dept. of Commerce ends as big business has to make its own way in the world, without subsidies and privileges at the expense of its competitors and customers. HUD is dead. There’s a building boom in cheap, private, apartments. The Dept. of Education revealing its total waste. 7. The federal government sells all its land, freeing up tens of millions of acres for development, mining, farming, forestry, oil drilling, private parks, etc. The government uses the revenue to pay off the national debt and other liabilities. 9. Equal rights are granted to all Americans, even members of non-victim groups. There is no affirmative action, no quotas, no set-asides, no public accommodations laws. Private property and freedom of association are fully restored. 10. All tariffs, quotas, and trade agreements are put through the shredder. Americans can trade with anyone in the world, without barriers or subsidies. Justin Ptak is an entrepreneur and a Margaret T. Rowley fellow at the Ludwig von Mises Institute. Ron Paul and Lew Rockwell discuss Ludwig von Mises, the Mises Institute, Leonard Read, Murray Rothbard, the Austrian School and the state of the freedom movement. NEW ORLEANS, LA (NBC33) — A common belief is that conservatives caused the government shutdown, while liberals are the ones who want to legalize marijuana. But both ideas come from the same school of thought, which is much older than the Democratic and Republican parties. It is called Austrian Economics, and one of its leading proponents calls south Louisiana home. Dr. Walter Block holds an endowed chair at Loyola University and is a faculty member of the Mises Institute. He has taught at several universities and written books about controversial economic topics. He was one of many people angry about the recent partial shutdown of the federal government, but his reasons differed from most. The Austrian School of economic thought was devised by a handful of economists in Austria in the 15th century; otherwise, it has nothing to do with the country. Free enterprise is the school’s main tenet. Austrian theory says regulation is bad for the general welfare, as well as for economic growth and stability. One thing Block mentioned he would do if tasked with improving the U.S. economy would be to eliminate the minimum wage, because it unnecessarily raises unemployment. According to Austrian theory, the market alone should decide the value of products and services. If a company is not successful, it should go bankrupt. Another change Block suggested is to end subsidies for American farmers. If agriculture is not profitable for enough farms, some of them should go out of business, allowing supply to balance out demand and creating prices that are more sustainable. Austrian economics holds that people should be allowed to make whatever choices they feel are best for them, so long as they do not hurt other people. A website called The Silk Road was shut down recently by the FBI. It let users buy and sell drugs, guns, and other contraband. He said crime would drop the instant drugs were legalized. Austrian theory is not a mainstream section of economics. Americans tend to believe there is a need for regulation, especially in the financial sector. But Washington state and Colorado have already legalized marijuana for recreational use, and a recent poll suggested that a majority of Americans want marijuana to be decriminalized. Combined with legalized prostitution in Nevada, Block said Americans are pushing for greater personal freedoms. the Federal Reserve, and let people make the decisions that are best for them. If it is good enough for clothing companies, “why don’t we apply it to everything?” Block asked. The most common criticism of Austrian economics is that it relies solely on logic, and does not seek statistical validation for its claims. Some people also claim that allowing the economy to move unchecked allows for greater volatility and longer recessions. “We’re diverted totally from what this bill is about. Why? Because the anarchists have taken over,” Reid said on the Senate floor. “They’ve taken over the House and now they’ve taken over the Senate. Increasing inflation creates a false expectation that the consolidation of public finances may be postponed, without taking into account that such action will contribute even more to making the economic system unsustainable. Sooner or later this will collapse through the abandonment of individuals’ trust in a currency that has no value. By Dr. Emanuele Canegrati, a senior economist in the Italian Parliament. This talk is intended to give people a better understanding of money itself. Because to understand Bitcoin, you must understand money. For this talk, Forget the tech. Forget the mining. Forget the cryptography and the peer to peer networks and the open source code. All of these things are secondary to an understanding of money itself. The core of the Bitcoin experiment is not about tech at all, it’s about money. Unfortunately, most people do not spend enough time pondering the nature of money. This is strange and somewhat tragic, because we spend our lives chasing it. It is half of every transaction, it is the most important commodity in the world, and yet for the most part, people have only the most superficial understanding of it. But from an early age, we understand that money is good. We want it. We’re happy when we have it, and sad when we don’t. We learn that to obtain money, we must work for it, and as we leave childhood we go to school for many years, and work very hard, so that we may obtain money. And so, much of our lives is spent searching and grasping for something we don’t understand. On the surface, the reason we seek money is simple: money lets us buy things. The utility of a new car, or the entertainment of an Xbox, or the taste of a nice steak dinner is apparent, and since we want those things, we seek money. But what people don’t spend enough time considering is why the money we use actually enables us to obtain the car, the xbox, and the dinner. Why is the shoemaker willing to give us his shoes for our money? You cannot answer this by saying that the shoemaker can in turn trade the money to someone else, for that begs the question, why does that person want the money? If nobody actually wants the money, and they only want what the money can buy, how did this whole crazy system get started? Who was the first person tricked into accepting something so silly as money in return for something real? This is what we want to examine. How we got to this point. In school, we learn that before we had money, we had a bartering system. Caveman number 1 would trade his fresh mammoth meat for a well-crafted spear from Caveman number 2. Bartering in this way makes intuitive sense, and even as children we engage in it. School then tells us there is something wrong with bartering. Something called a “Coincidence of wants.” If Caveman 1 wants the spear from Caveman 2, then great. But what if he has no need for a spear? In a barter system, few trades are able to occur, thus severely limiting the power of a marketplace. Again, this makes intuitive sense. We then learn that to get around the Coincidence of Wants dilemma, money was invented. Money is the name for a common medium of exchange, whereby everyone agrees to trade for money instead of other objects. We learn that things like wampum shells were early forms of money, and that eventually people used gold and silver, and ultimately people started using the fiat paper bills we have today. Since this narrative is presented as one of ongoing human progression, children tend to grow up assuming their dollars, or euros, or yen, are proper money and that things like gold and seashells are outdated relics. Further, they come to perceive dollars as a very physical item, because they can hold physical bills in their wallet, and we all see movies with bank robbers stealing bags of physical cash. Even though nearly all your dollars are digital today, we still tend to understand them as something physical. With this as our frame of reference, Bitcoin looks kind of absurd, doesn’t it. If one compares dollars to Bitcoin, Bitcoin looks like a joke. It’s purely digital? Not backed by any trusty Government? Unregulated? No presidential heads or latin incantations printed on it?! Clearly, it is nothing more than made up magic internet money. An absurd fad. A bubble. 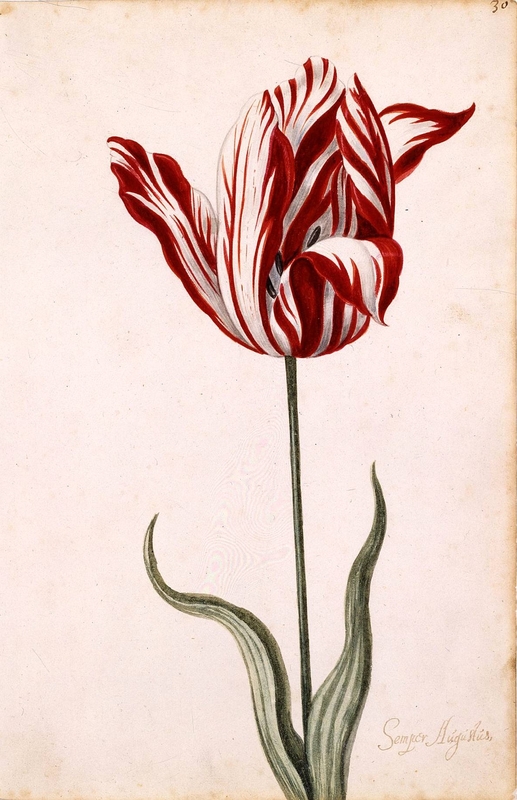 Tulip mania. Pets.com. A Ponzi scheme. So why is it that some people believe in Bitcoin as money when it is so clearly different than dollars, which are the best form of money we could possibly have? I think it’s because these people have a different understanding of money itself, one that isn’t really taught to us in school. Consider that a crucial question may have been overlooked during our school education: why were seashells, or gold, chosen as money in the first place? Was there a vote? Did people just wake up and start using it? Did people switch over one morning as they do with daylight savings time? I believe that the question of why gold became money is in fact one of the most egregious lapses in modern education. Gold was the money of the world all the way up until 1971. Why was this the case? Why was it gold, and not rubies, or eggs, or feathers? And if gold was chosen as money, and nobody ever seems to have enough money, then why wasn’t something more plentiful, like grass, chosen as money? Certainly if grass had been chosen, then we’d all have plenty of money! Poverty would’ve been eliminated long ago. So who’s bright idea was it to choose gold? In absence of a proper education, most assume that society just arbitrarily decided to make gold money, and that any other commodity would have worked roughly as well. They perceive money as an arbitrary token, but this is a mistake, and this is where the grand misunderstanding of Bitcoin begins, because if money is an arbitrary token, and we already have a great arbitrary token backed by the full faith and credit of the United States Government, why should we get distracted by some other arbitrary token? Because… Money is not arbitrary; it is selected with very good reason through a very natural process. Gold became money, gradually over time, not by mistake, but because it had specific attributes that made it highly useful in exchange. We can call this an attribute-based theory of money. It is these attributes, these specific properties of gold, which led it to be used increasingly as a medium of exchange. Simply, it has better properties than basically everything else. If you understand that these attributes make gold a great means of exchange, you’ll understand why gold was increasingly sought in the natural marketplace. And what this means is that a money-based system is not actually something separate from a barter system at all. It’s just a barter system that’s been running for a while. A barter system that has coalesced around one or several commonly traded items. We’re still in a barter system, but the good most people prefer to barter for now is gold or dollars or bitcoin, and we called these most exchangeable of goods, money. So money is thus nothing more than the natural outcome of barter. Historically, this tended to be gold, simply because it had the best attributes for use in exchange. And if we see the genesis of gold’s monetary use – that it was nothing magical or arbitrary – gold simply had the best properties for exchange and was thus frequently bartered for, then it should not be a stretch to imagine that a commodity with even better properties might be an even better form of money. This is what I found when I discovered Bitcoin. Well let’s examine the properties of this form of money. Dollars are fungible and uniform, that’s good. They are transportable, perhaps even more easily then gold. They have a high value-to-weight ratio. They’re fairly easy to divide and recombine. Looking pretty good so far. But what else? Well, they’ve lost 98% of their value since the Federal Reserve started creating them. Well, it’s because they are constantly created out of thin air. Every year vast new quantities of it are produced. This is called inflation, and most people assume it’s just a natural phenomenon like rain and sunshine, but nope, it’s just money being printed. It may be the greatest scam ever devised. But a scam needs a victim, why would anyone accept a form of money that could be constantly created out of thin air and thus looses purchasing power every day. Because they’re forced to pay tribute to the government using this money through a scheme called taxation, and through legal tender laws. In other words, dollars are not used over gold because the attributes of dollars are superior. A free market did not choose dollars based on the dollars’ merit. Dollars are used because people are forced to use them. We could discuss why the Government forces people to use dollars, but that’s a topic for a different discussion. These are the concepts behind money that people need to understand. Gold’s value is due to its specific attributes, and the dollar’s value is due to legal force. So how does this relate to Bitcoin? Bitcoin’s value as money needs to be understood like gold, which comes not from legal force, but from its specific attributes. Bitcoin’s attributes make it an amazing form of money and it was engineered for just that purpose. And it cannot be manipulated, restricted, or seized by any central party (shares this property with gold). Nobody has special privileges. In this way, it is very democratic, and very egalitarian. Just as mankind has engineered houses to be used as shelter and cars to be used as transportation, so too can we engineer something to be used as an ideal medium of exchange. But while the dollar is a poorly engineered money (so poor in fact that it relies on coercion for its value), Bitcoin is a brilliantly engineered money. It might not be perfect, but it’s pretty damn good, and this is why people are using it as money, despite the fact that nobody is forced to. And given that it is so useful as money, due to its attributes, it should not be a surprise to anyone that it commands a market price. Any good that is useful and scarce will have a price on the market. Economists and journalists get very caught up around the question, why does Bitcoin have value? The answer is easy: because it’s useful and scarce. The corollary here is that Bitcoin’s value can never reach zero unless it is no longer useful, or no longer scarce. And this brings us to the more interesting topic. For if Bitcoin is so well-engineered as money, won’t it necessarily begin competing with other forms of money? The reason is that while gold works very well as a store of value (indeed the best the world has ever known), it doesn’t work so well as a means of exchange in our modern society. And this should be obvious. Transacting in physical gold is, unfortunately, quite a burden, and while services like e-gold had huge potential, they inevitably fail because they get beheaded by the government. If a digital gold company is too successful, the government destroys it. Anyone who tries to make it useful as a currency gets shut down – GoldMoney is another great example. This is why gold remains safely in vaults, used for storing wealth, not so much as a currency. So we see a physical bullion currency is too inconvenient, and a digital bullion currency is a fantasy (because it requires backing by a party that can be shut down). This is also why anyone who suggests Bitcoin should be backed by something like gold is gravely misunderstanding the situation. Backing injects counter-party risk, because a specific person or entity must be obligated to fulfill the backing. Bitcoin doesn’t need backing, because it is a digital commodity that is valuable itself, and valuable in large part because it carries no physical burdens or constraints. It is this lack of physical backing which enables it to move anywhere, instantly, at near-zero cost. One can see then that Bitcoin is revolutionary in this regard. For the first time ever, a form of money, superior to all others due to its specific attributes, has been successfully decentralized and decoupled from the material world in such a way that nobody can turn the system off. The world has never seen this before, and there is now a certain inevitability that markets around the world will gradually gravitate toward this superior money. Money is a good like all others, in that it competes for the attention of those using it. So I think it is fair to say that Bitcoin is a monumental invention that has finally been captured by mankind. All of you who are involved in this, right now, are making history. And perhaps most exciting about all this, is that the only thing which can derail this invention is an even better invention. If you play through the various scenarios in your mind, you’ll realize that Bitcoin can only fail if a superior currency takes its place, in which case mankind is even better off, and the promise of Bitcoin will carry forward into its successor. The genie is truly out of the bottle. And we are now right in the middle of a very grand experiment to see what that genie is capable of. Bitcoin, like gold, has properties that make it an excellent form of money. However, unlike gold, Bitcoin can actually be used in our modern economy for day to day exchange. Unlike gold, Bitcoin, as an asset with no counter-party risk, can be transferred to anyone on the planet in one second. It is super hero currency. And nobody’s permission is needed. There are no terms of service. Further, Bitcoin’s decentralized nature means that it is not in danger of being shut off by the incumbent monetary monopolist. Thus Bitcoin can achieve critical mass. Nothing has ever been able to claim these attributes before, and this is why it’s foolish to compare Bitcoin to any other digital currency from Facebook Credits to World of Warcraft Gold to our most favorite virtual currency, the United States Dollar itself. Bitcoin’s attributes enable it to operate freely and grow within an increasingly larger sphere of activity. Inevitably, this means it will start displacing monies with inferior attributes. Bitcoin will grow like a benevolent hydra, with heads sprouting up in every country and community. It will gobble up commerce that has, until now, been shackled to the economic witchcraft of a decrepit fiat financial system, and will leave an expansive, frictionless marketplace in its wake. It is up to all of you, to capture and grow that new marketplace. Someday, in school, the curriculum will be different. The children will be taught the true nature of money. They’ll learn the difference between a real asset, like Bitcoin, which is based on merit, and virtual currency, like the US dollar, which based on coercion. They’ll learn how powerful a market can be, when its medium of exchange is honest. And they’ll learn how a small group of idealistic entrepreneurs saved the world from a monetary dark age. I feel very excited for my children to grow up in such a world, and I am deeply honored to be here in San Jose, working on this project with so many great minds all over the world. In a remarkable column published in today’s Financial Times, Jeffrey Sachs exhibits a fundamental reversal of his economic thinking. Until now, one of the foremost disciples of John Maynard Keynes, he openly and categorically rejects that doctrine. As one of the foremost skeptics of Austrian economics, he now openly embraces the economic thought of Friedrich von Hayek. I choked on my morning orange juice as I took in the magnitude of this rebirth. After several centuries of experimentation with boom-and-bust monetary and fiscal policies, we need to give the Austrian school a chance. Free market capitalism is under assault. Framed as the culprit for the global financial crisis by the popular media, politicians and ideological opportunists alike, who expediently blame the United States for igniting the crisis. The irony is that we haven’t had true free market capitalism in the U.S. for a very long time. Plagued with recurring financial panics, recessions and downright depressions, the real culprit is the federal government management of money and credit that is quite antithetical to free markets. Article I, Section 8 of the U.S. Constitution clearly gives Congress the enumerated right “To coin money, regulate the value thereof…” But in 1913, Congress decided to outsource monetary management to the Federal Reserve Banking System. And it did so for purely political reasons [1-4]: to charter an ‘independent’ body with the power to print paper money when the needs of government or special interests arose. More to the point: to finance government debt and perpetuate government spending habits; to rescue banks that become illiquid and insolvent due to risk mismanagement and/or instabilities in a fractional reserve banking system; and most insidiously, to inject inflation into the economy when prices fall below a certain point (price controls). None of these actions belong to free market measures in a capitalist society. The stark reality is that the U.S. abandoned free market principles when it adopted fiat currency manipulation strategies and promoted a fractional reserve banking system that lends out many more dollars than exist in real deposits. A fiat currency (e.g., U.S. Dollar, Euro, Sterling, Yen) by itself is not the problem; it is the abusive government regulation of the value of the fiat currency that is anti-free market. Purposefully driving interest rates to zero instead of allowing for market determination of rates is anti-free market manipulation. Likewise, lending money created from thin air instead of from a rational measure of deposits undermines the supply and demand of resources that are natural to a free market and distorts healthy business cycles, not to mention the high risk of high leverage if loans default. The U.S. did not invent this brand of money and credit misregulation – it was adopted from millennia of central banking history in Britain and Europe [1,5,6]. The U.S. has become perhaps uniquely addicted to the easy money and credit binges promoted by our central bank, the Fed – especially since demand for Treasurys by foreign creditors (i.e., China and Japan) is limited. Runaway government spending, off-balance sheet entitlement liabilities and easy credit promises made to voters have throttled this modus operandi. And the crony capitalism of government welfare (bailouts, “subsides”) to large corporations and financial institutions has only made the addiction worse. Consider the following basic examples to further illustrate. In a free market, interest rates are set by the supply and demand of the market, not artificially by a central bank. “When the Fed lowers rates artificially, they no longer reflect the true state of consumer demand and economic conditions in general. People have not actually increased their savings or indicated a desire to lower their present consumption. These artificially low interest rates mislead investors. They make investment decisions suddenly appear profitable that under normal conditions would be correctly assessed as unprofitable. From the point of view of the economy as a whole, irrational investment decisions are made and investment activity is distorted” . Artificially low rates are used to “stimulate” the consumer driven economy and interest rate sensitive investments, but the damage is borne in a misallocation of resources and a distortion of healthy free market driven business cycles. Consumers save less and consume more resources, and businesses that choose to invest will not only find resources limited and even more expensive as time progresses, but lending supply limited unless banks relax their reserve requirements. Modern fractional reserve banking answers this problem: banks lend from checkable demand deposits as well as timed deposits (such as CDs). Money that is lent can be multiplied by lending out on a basis of fractional reserves – for every dollar in checkable deposits, a dollar lent is deposited in checking and loaned again, up to the legal reserve limit. In a loose monetary environment, credit expansion means greater risk, as we have seen just recently in the credit boom of the last decade. In the worst case, artificially low rates and the artificial growth in lending supply (credit expansion though the creation of money in fractional banking) end in a business recession or depression: businesses cannot complete all of the invested projects due to the scarcity and/or inflationary expense of specific resources, and consumers cannot continue to spend what they don’t have. Natural supply and demand of the business cycle is disrupted. (Reuters) – The gap between the Federal Reserve’s dovish core and its hawkish wing was on display on Thursday as a top Fed official said the economy is in better shape even as Fed Chairman Ben Bernanke focused on a source of weakness. While growing “slower than we would like,” the U.S. economy is expanding fast enough that it does not need further help from the central bank, Dallas Fed President Richard Fisher told Fox Business Network. Despite the bright light streaming into my office window, reminding me of the beautiful spring weather here in Athens, I managed to spend most of yesterday afternoon listening to the first installment of Ben Bernanke’s 4-part lecture series on “The Federal Reserve and the Financial Crisis.” The lecture was given at George Washington University yesterday; the other parts will be given on the 22nd, 27th, and 29th of this month. In this opening lecture Bernanke offers a brief overview of the role of central banks, their general origins, the specific origins of the Federal Reserve System, and the Fed’s early performance. It would of course be silly to expect any sitting central banker, much less the head of the world’s most important central bank, to deliver an entirely candid lecture on the origins of central banking. But then again, Ben Bernanke is no run-of-the-mill central banker: he is a former academic economist and economic historian, and one with very high standing in the profession. So one might expect him to at least avoid gross distortions of the historical record to which his less academically-minded counterparts might be expected to resort. But no: as the lecture lumbered on (for Chairman Bernanke’s classroom demeanor is all too reminiscent of his demeanor when testifying to Congress), it became increasingly evident that the man lecturing at Duquès Hall was at least 99 and 44/100ths percent pure Federal Reserve spokesman. So like any central banker, and unlike better academic economists, Bernanke consistently portrays inflation, business cycles, financial crises, and asset price “bubbles” as things that happen because…well, the point is that there is generally no “because.” These things just happen; central banks, on the other hand, exist to prevent them from happening, or to “mitigate” them once they happen, or perhaps (as in the case of “bubbles”) to simply tolerate them, because they can’t do any better than that. That central banks’ own policies might actually cause inflation, or contribute to the business cycle, or trigger crises, or blow-up asset bubbles–these are possibilities to which every economist worth his or her salt attaches some importance, if not overwhelming importance. But they are also possibilities that every true-blue central banker avoids like so many landmines. Are you old enough to remember that publicity shot of Arthur Burns holding a baseball bat and declaring that he was about to “knock inflation out of the economy”? That was Burns talking, not like a monetary economist, but like the Fed propagandist that he was. Bernanke talks the same way throughout much (though not quite all) of his lecture. The new issue of the Journal of Economics and Financial Education is now available online and it is a special issue devoted to a symposium on teaching Austrian economics. What do you think of that list? And, what do you think it says about Mises’s stature as an economic thinker if even Samuelson signaled that he would have been honored with the Nobel Prize for his contributions to economic science? Andrei Shleifer is one of the most important economic thinkers of our time. Here are some of his thoughts on the economic transition in the Soviet Union that he viewed first hand. Twenty years ago, communist countries began their shift towards capitalism. What do we know now that we didn’t know then? Harvard’s Andrei Shleifer, the Russian-born, American-trained economist, provides his answers and their relevance for contemporary policymakers. Recently, I was asked by the organisers of the IIASA conference1 to mark the 20th anniversary of the beginning of economic reforms in Eastern Europe and former Soviet Union to comment on the lessons of transition. The assignment presumably refers to the things that I learned – as an economist – that are different from what I believed initially. Such a recollection free from hindsight bias is challenging, but I tried. This list might be useful to future reformers, although there are not so many communist countries left. Some of the issues are however relevant not just for communist countries; the problems of heavily statist economies are similar. So here is my top-seven list. First, in all countries in Eastern Europe and the former Soviet Union, economic activity shrunk at the beginning of transition, in some very sharply. In many countries, economic decline started earlier, but still continued. In Russia, the steepness and the length of the decline (almost a decade) was a big surprise. Countries with the biggest trade shocks (such as Poland and Czechoslovakia) experienced the mildest declines. To be sure, the true declines were considerably milder than what was officially recorded – unofficial economies expanded, communist countries exaggerated their GDPs, defence cuts, and so on – but this does not take away from the basic fact that declines occurred and were surprising. These declines contradicted at least the simple economic theory that a move to free prices should immediately improve resource allocation. The main lesson of this experience is for reformers not to count on an immediate return to growth. Economic transformation takes time. Second, the decline was not permanent. Following these declines, recovery and rapid growth occurred nearly everywhere. Over 20 years, living standards in most transition countries have increased substantially for most people, although the official GDP numbers show much milder improvements and are inconsistent with just about any direct measure of the quality of life (again raising questions about communist GDP calculations). As predicted, capitalism worked and living standards improved enormously. One must say, however, that for a time things looked glum. So lesson learned: have faith – capitalism really does work. Third, the declines in output nowhere led to populist revolts – as many economists had feared. Surely reform governments were thrown out in some countries, but not by populists. Instead of populism, politics in many countries came to be dominated by new economic elites, the so-called oligarchs, who combined wealth with substantial political influence. From the perspective of 1992, this came as a huge surprise. Ironically, in some countries in Eastern Europe populism appeared 20 years after transition started, after huge improvements in living standards were absolutely obvious. Indeed, people in all transition countries were unhappy with transition: they were unhappy even in countries with rapidly improving quality of life (and this itself is another surprise and major puzzle – something for future reformers to keep in mind). But the lesson is clear: a reformer should fear not populism but capture of politics by the new elites. Fourth, economists and reformers overstated both their ability to sequence reforms, and the importance of particular tactical choices, eg, in privatisation. In retrospect, many of the theories that animated the discussion of reform – whether institutions should be built first, whether companies should be prepared for privatisation by the government, whether voucher privatisation or mutual fund privatisation is better, whether case by case privatisations might work – look quaint. Reformers nearly everywhere, including in Russia, had a vastly overstated sense of control. Politics and competence frequently intervened and dictated to a large extent most of the tactical choices. Still, most countries, despite different choices, ended up with largely similar outcomes (notable and sad exceptions are Belarus, Uzbekistan, and Turkmenistan). In various forms, all had privatisation and macroeconomic stabilisation as well as legal and institutional reform to support a market economy. Lesson learned: do not over-plan the move to markets, but, more importantly, do not delay in the hope of having a tidier reform later. Fifth, economists have greatly exaggerated the benefits of incentives by themselves, without changes in people. Economic theory of socialism has put way too much weight on incentives, and way too little on human capital. Winners in the communist system turned out not to be so good in a market economy. Transition to markets is accomplished by new people, not by old people with better incentives. I realised this and wrote about it in the mid-1990s, but the lesson both in firms and in politics in profound: you cannot teach an old dog new tricks, even with incentives. Sixth, it is important not to overestimate the long-run consequences of macroeconomic crises and even debt defaults. Russia experienced a major crisis in 1997–98, which some extremely knowledgeable observers said would set it back by 20 years, yet it began growing rapidly in 1999–2000. Similar stories apply elsewhere, from East Asia to Argentina. Debt restructurings do not necessarily make permanent scars. This experience bears a profound lesson for reformers, who are always intimidated by the international financial community: do not panic about crises; they blow over fast. Seventh, it is much easier to forecast economic than political evolution. Although nearly all transition countries have eventually converged to some form of capitalism, there has been a broader range of political experiences, from full democracies, to primitive dictatorships, to just about everything in between. There appears a strong geographic pattern in this, with countries further West, especially those involved with the European Union, becoming clearly democratic, and countries further East remaining generally more authoritarian. For countries in the middle, including Russia and Ukraine, the political paths over the 20 years have wiggled around. Lesson learned: middle-income countries eventually slouch toward democracy, but not nearly in as direct or consistent a way as they move toward capitalism. What “Austrian Economics” Is Not. Of course, no prestigious circle cared much about Austrian economics except the one that matters most that gave F.A. Hayek a Noble prize in 1974 for his pioneering work in the theory of money and economic fluctuations and his penetrating analysis of the interdependence of economic, social and institutional phenomena. If Matthew or anyone else wants to see the error of their ways it is a quick click away and a short read to the real story behind America’s Great Depression. All of the popular press that the Austrian school of economics, the Mises Institute, the Austrian business cycle theory, and the Physiocrats like Frederic Bastiat have garnered lately has led Paul Krugman to try to rewrite Hayek out of the history of macroeconomics contra all facts against him. “His conclusion is that it is only through a far-reaching decentralization in a market system with competition and free price formation that it is possible to achieve an efficient use of all this knowledge and information. Hayek shows how prices as such are the carriers of essential information on cost and demand conditions, how the price system is a mechanism for communication of knowledge and information, and how this system can mean an efficient use of highly decentralized resources of knowledge. Krugman can try to dismiss the “Hayek thing” all he wants as he attempts to whitewash history but it clearly is not going away. For some reason or another I missed this very impressive resource list of essays, books, and videos that Tom Woods put together for those interested in a beginner’s guide to Austrian economics. Tom begins with elementary texts on economic reasoning and then supplements this with a video series by various excellent professors who discuss one chapter of Henry Hazlit’s Economics in One Lesson each. He then builds on this basic knowledge with a variety of books, audio, and video that will keep you busy for the rest of the year. And when you are done you can proceed here to the Mises Media page and here then to the Molinari Institute’s Heritage of Dissent: An Online Library of Radical Libertarian Classics to keep you occupied for the next decade. Libertarianism.org has released this exclusive video from November 22, 1983 of F. A. Hayek discussing the evolution of morality and social norms, arguing that they result from unplanned, emergent processes. He contrasts this conclusion with other philosophical accounts of law and morality. A short clip from a rare Murray Rothbard lecture is also available, but I would encourage others to ask that the complete lecture on “Mises, Keynes, Friedman, Laffer: The Austrian Perspective” be made available. How to silence a Nobel Prize winning economist: Ask him about the economy. The whole press conference is quite embarrassing for the economics profession. First of all, modern day Austrians see Schumpeter as a marginal player when it comes to the Austrian school of economics. The most significant thinkers in Austrian economics are Ludwig von Mises, Murray Rothbard and Friedrich Hayek. After these three, Carl Menger and Eugene von Bohm-Bawerk would be added to the list. Second, there are no Austrian economists who would be in favor of the current austerity programs being called for in the PIIGS countries, by globalist organizations such as the IMF, World Bank and the OECD. Austrians view the IMF etc. as bankster enforcers, who exist for one reason and one reason only, to ensure that the banksters are paid. Austrians view the current increased taxes, as part of austerity programs in PIIGS countries, with horror, and as the state taking by force from the people and handing the funds to the banksters. Rather than banksters getting paid, Austrians would rather see the the PIIGS countries go into bankruptcy, default on their debt and free the people. The same view holds with regard to the Austrian position on US Treasury debt. Treasury default is the Austrian solution, not phony “austerity” programs of tax reform, aka tax increases, and government programs that are “paid for” by shuffling imaginary cuts in to later years. Bottom line: Austrians aren’t in favor the current size of government, anywhere. It’s not about austerity, but about eliminating the government money grab on behalf of banksters. Austrians are also in favor of ending the social-welfare programs, so that the countries can again grow and prosper, but this has nothing to do with the current austerity programs proposed for the PIIGS. This is a position Austrians hold relative to all state social-welfare programs, regardless of the debt situation of a country. Roubini is shockingly clueless with regard to Austrian economics and its position on the current eurozone crisis and the crisis in the United States. Ron Paul, What Is Austrian Economics? What would Ludwig von Mises and FA Hayek say? I do not like this Uncle Sam, I do not like his welfare-warfare scam. I do not like these dirty bombs, or how they kill without any qualms. I do not like their fiat money, it is worthless paper and all too funny. I do not like taxation as theft, I will be happy when none are left. Judge Napolitano explains the battle between Austrian free market economists and progressive American socialist economists over the control of the commanding heights of the global economy on Freedom Watch. Mr. President, Your Default Rhetoric Is Just Not So. Barack Obama moments ago proclaimed that no one is advocating for default. But my major disagreement with Tyler [Cowen] and Arnold [Kling] is that I believe that a U.S. government default, rather than being “the end of the world,” could possibly be a good thing. I even advocated repudiating the national debt in a 1981 issue of CALIBER (the newsletter of the California Libertarian Party), long before predicting a default. My arguments were moral, economic, and political, and I would only soften them slightly today. The moral argument for repudiation is easiest to follow although by itself says nothing about the practical results. Treasury securities represent a stream of future tax revenues, and investors have no more just claim to those returns than to any investment in a criminal enterprise. I favor total repudiation of all government debt for the same reason I favor abolition of slavery without compensation to slaveholders. The economic argument depends on whether Ricardian Equivalence holds. Repudiating government debt eliminates future tax liabilities. To the extent that people correctly anticipate those liabilities, the value of private assets (including human capital) should rise over the long run by the same amount that the value of government securities falls. Thus, people will gain or lose depending how closely their wealth is associated with the State. If on the other hand, people underestimate their future tax liabilities, they suffer from a fiscal or “bond illusion” in which Treasury securities make them feel wealthier than they actually are. Debt repudiation will bring their expectations into closer alignment with reality, which should increase saving. There is a strong libertarian argument to be made that all tax revenues are stolen, and in that respect the government has no business “honoring” its debt at all. Liberty will receive a shot in the arm when this phrase provokes universal laughter: “The full faith and credit of the United States.” That day is fast approaching. The credit rating of the United States government will be marked down from AAA to AA. It will then be marked down to A. For every notch down that it falls, the national day of deliverance draws closer. American liberty is measured inversely to the credit rating of the United States government. The President should hear from these voices and this rationale. I highly doubt he has even considered these arguments and would greatly benefit from a week at Mises University.